Wootwoot! Love it! Here is a blurb from the new page, which you can check out at the top header of my “main page” or here. Welcome to my NEW page! Wootwoot! This page will chronicle my workouts in hopes of having a healthy lifestyle (both mentally and physically) while training for my first race (to be chronicled as well). I ususally do keep track of all of this “fun” info as well as my eats in this pretty eco-friendly journal, but it’s time to blog it up! 1. Just got my H1N1 nasal mist- stay away Swine Flu! Definitely a necessity for those like me working in a petri dish classroom. wootwoot! 3. They’re baaaaack! 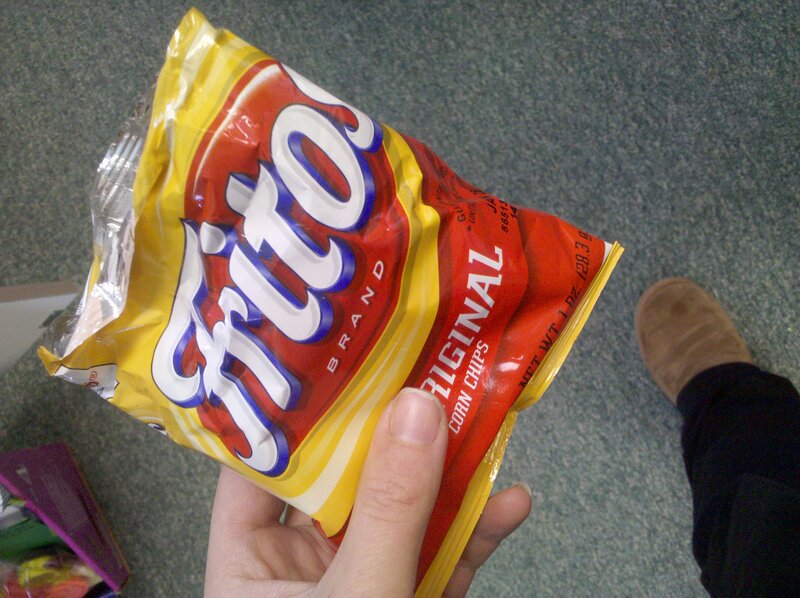 yes, Frito made another AWESOME appearance in my belly life today!